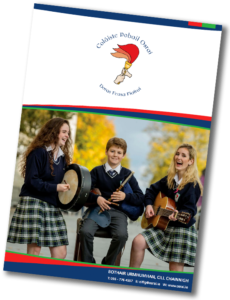 Comhghairdeas do Mhúinteoir Dearan agus foireann iománaíochta na scoile, buatóirí Cluiche Leathcheannais deisceart Chúige Laighean faoi 16 i gCeatharlach ar an gCéadaoin. Seo an chéad bhliain a raibh a fhoireann féin ag an gColáiste, go n-eirí leo sa chluiche cheannais! Comhghairdeas do Mhúinteoir Dearan and the CPO U16 Hurling team who won the South Leinster Roinn C U16 Hurling Semi Final in Fenagh, Co Carlow on Wednesday last. This is the first year the Coláiste has had their own team competing. Go n-eirí leo in the final against Tullow CS!